Every girl loves to have fluttering doll-like eyelashes, isn’t it? Eyelash curlers will help you get that gorgeous curl for your eyelashes and prepare them well for your mascara application. It does look like a complicated tool for a girl who is a beginner in makeup. But, it is very simple to use and with little practice you will become a master in it. How Do You Use An Eyelash Curler? Hold the eyelash curler using your thumb and index fingers. 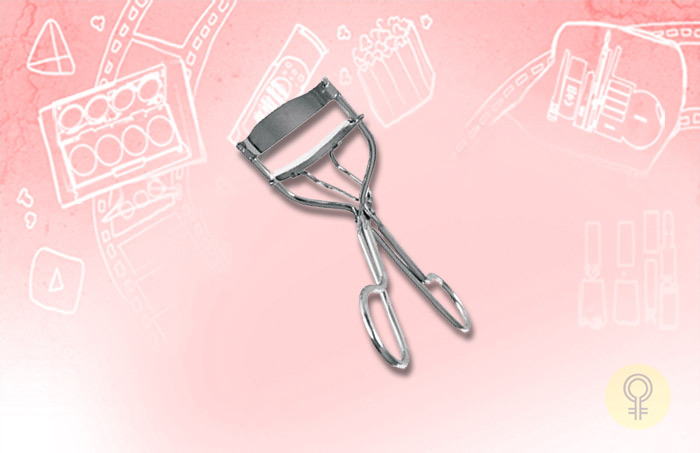 The eyelash curler has semi-circular ends, which are perfectly design to fit the contours of eye shape. There is a soft rubber grip between the openings of the eye lash curler through which your eyelashes sit. You would have to simply open up the eye lash curler, hold the lower opening of the curler on your lash line of the upper eye lid and press it together. Now hold it tightly for good 20 to 30 seconds and release it. The eyelash curler will instantly curl your eyelashes. Then, apply your favourite mascara for flattering thick doll-like eye lashes. Now, check the top 10 eyelash curlers available in India to get the best of you. 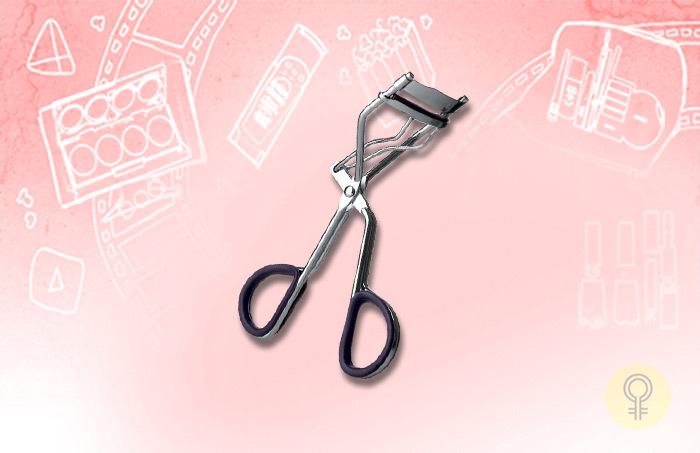 The Vega Eyelash Curler comes with the most basic design and also in affordable price. The body of the eye lash curler is sturdy and metallic. 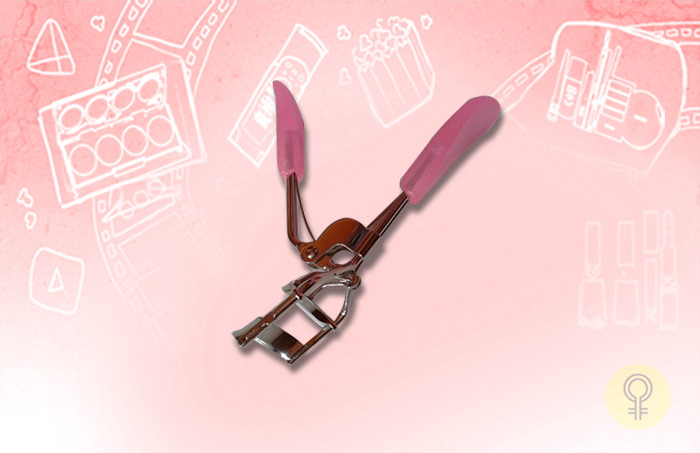 It has a thin rubber band to ensure that the eyelash curler is soft on your eye lashes. If you are a beginner in makeup, then this one will work perfectly for you. 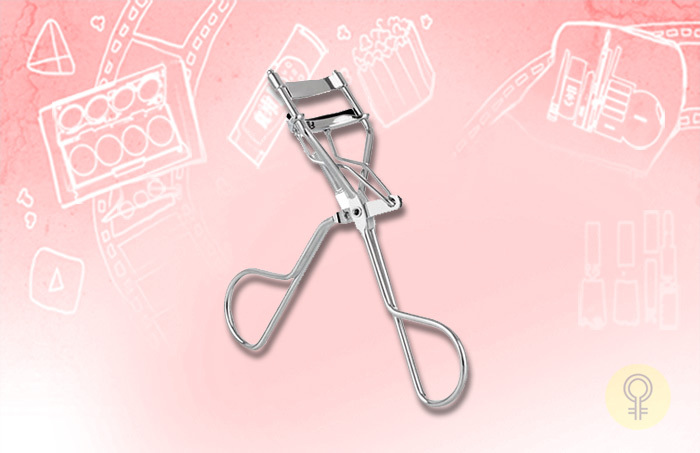 The Basicare Euro Eyelash curler comes with a nice sturdy body with gripped handles. The plastic grip helps you give good control for holding and also fingers slide easily into them. The brand promises to fit your natural eyelashes perfectly. It also comes with an extra pair of rubber pads, which are fixed on the openings of the eye lash curler. The rubber pads get easily worn out with usage, so an additional rubber pad lets you use the eye lash curler for some more time. It also comes with a decent pocket-friendly price. Every girl loves to have pink coloured makeup accessories. 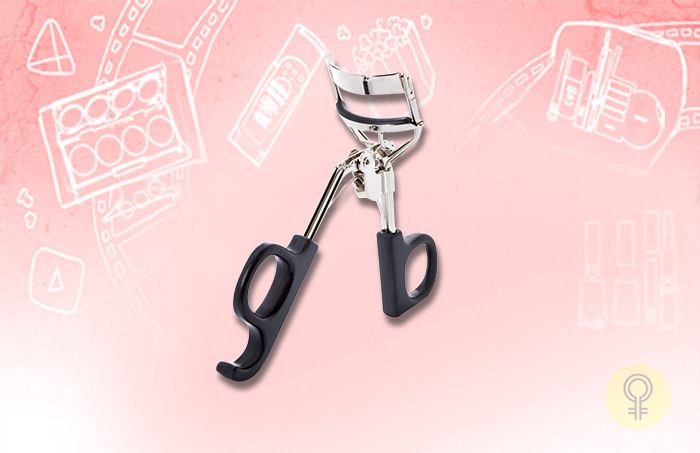 If you are a fan of cute looking packaging, then this eye lash curler is the best for you. It comes in a bright pink color body with a white plastic handle. The brand also promises to curl your eyelashes with extra drama. This eyelash curler also comes with an extra rubber pad for replacement. 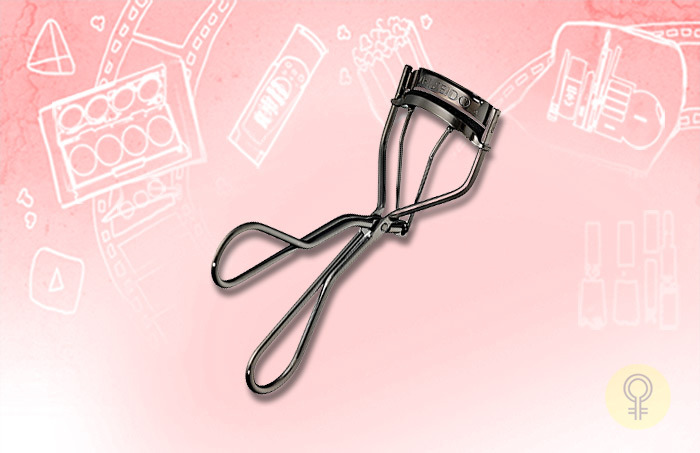 The Faces Canada Eyelash Curler is simple to use and also comes with a budget-friendly price tag. 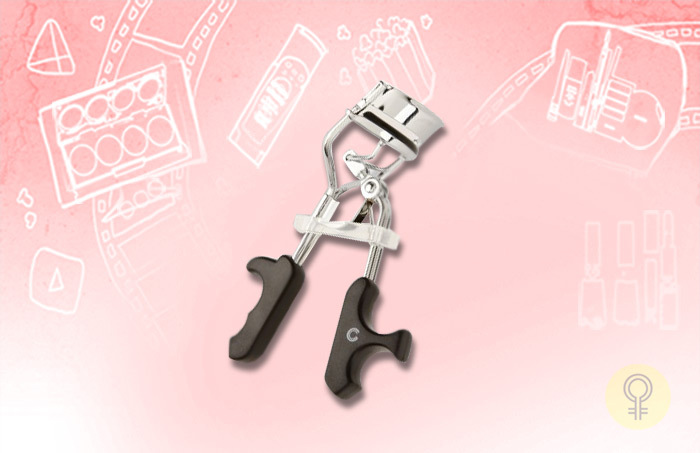 The eyelash curler has a plastic handle for good grip and also comes with an additional rubber pad. The Colorbar eyelash curler is a recent launch from the brand. True to its name, the brand has really made the design and function of the eyelash curler in an exclusive way. 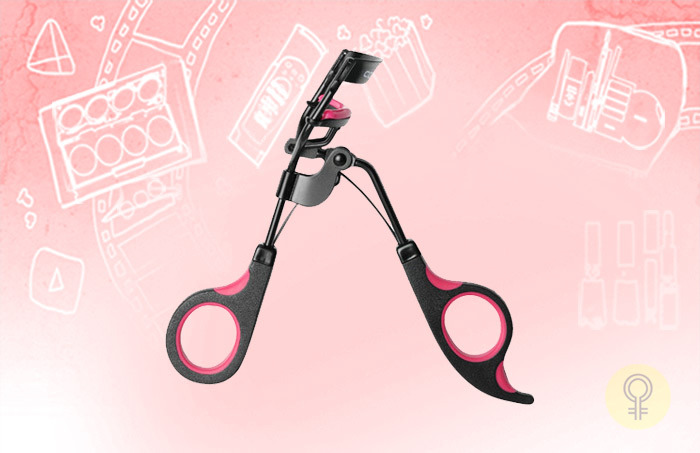 The body of the eyelash curler comes in a gorgeous classy black and bright pink colored combination. 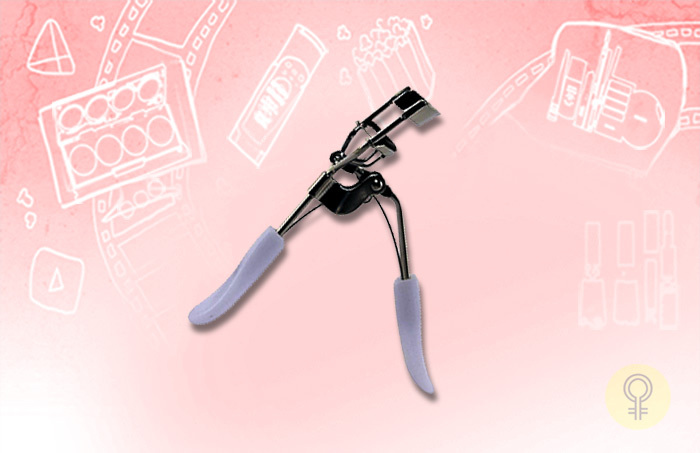 The eyelash curler has a soft silicone pad instead of the regular rubber pads which increases the life of the tool. The quality of the eye lash curler is top notch by making it classy to hold as well as also provides a gentle curling experience. The Inglot BP eyelash curler is very unique in design. It comes in a pure black color, the body of the curler is made with plastic. The body appears to be like a paper clip in design. It is simply pulled back for curling your eye lashes and once it is placed over your eye lashes it goes back into the body of the curler. There is also an additional pad provided as a replacement. The added benefit of this eye lash curler is that as there are no metal or sharp edges in the packaging there are lesser chances of hurting yourself. This eye lash curler is also very popular for the sleek metal design. The handles of the eye lash curler are cushioned to provide better grip and leverage only gentle pressure while curling your eye lashes. This eyelash curler has a unique curved design, which fits all the angles of eye shapes. The body is made with silicone rubber pad which applies only gentle pressure. So, you get beautiful long-lasting curled eye lashes easily and safely. The Shiseido eyelash curler is expensive in the list but definitely worth the money. The body of the eye lash curler is classy in design and also fits contours of the eyes perfectly for beautifully curled dramatic lashes. It also comes with an additional rubber pad as a replacement. The body of the eye lash curler is sturdy and metallic. 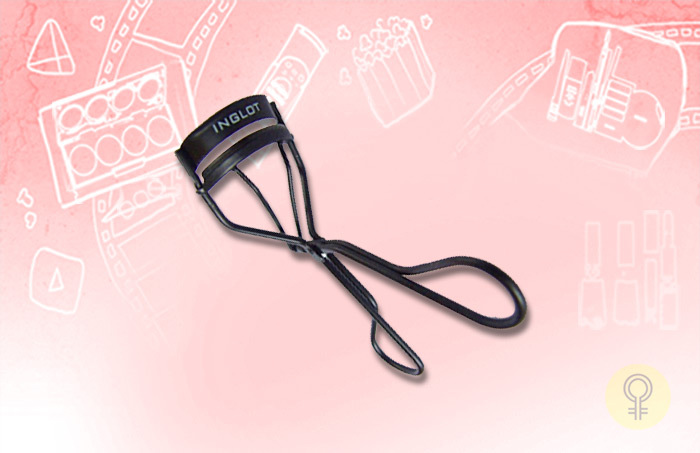 It has a thin dark purple rubber band to ensure that the eyelash curler is soft on your eye lashes. If you are a beginner in makeup, then this one will work perfectly for you. These are our top 10 eyelash curlers available in India. Which one is your favorite eyelash curler? Let us know in the comments section below.